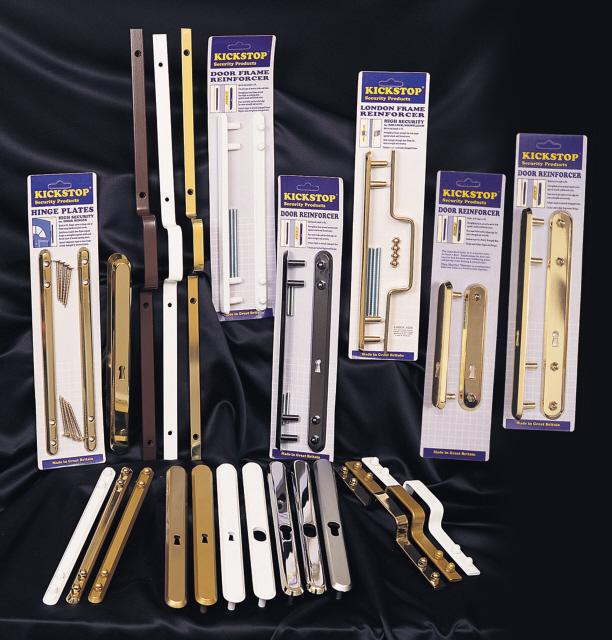 The SashlockGuard, as the name implies, is a high security steel plate LockGuard kit to reinforce and strengthen the door around a mortice sashlock. 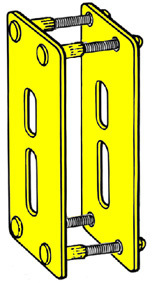 A door would have been weakened by the necessary chiselling and morticing during the fitting of a sashlock. 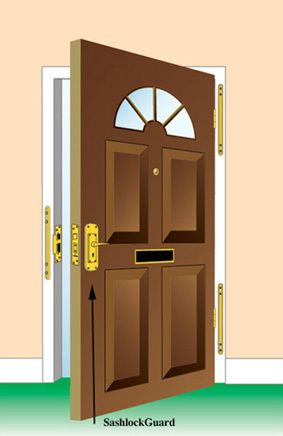 The Kickstop Universal keyway plates are bolted together, through the door and around the lock, to help prevent the door splitting during a 'kick-in' burglary. 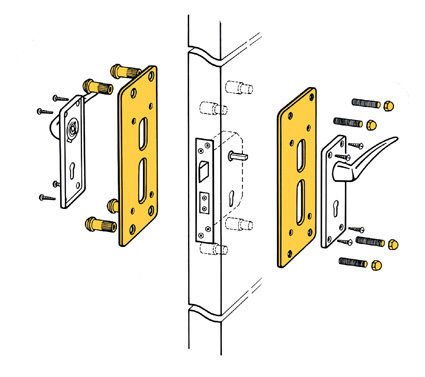 The lower 'universal' hole is for the UK keyway, Euro cylinder or Oval cylinder.